Dealer Disclosure: General Disclaimer; All vehicle descriptions are based on information that is to the best of our knowledge. The seller shall not be responsible for any incorrect description, authenticity, genuineness, or defects. Although we do our best to explain each car accurately, these are up to 50 year-old vehicles and there are no perfect cars, please keep this in mind when making your purchasing decision. Any descriptions or representations are for identification purposes only and are not to be construed as a warranty of any type. All vehicles are being sold as is with no warranty expressed, written or implied. It is the sole responsibility of the buyer to have thoroughly inspected the vehicle and to have satisfied their self as to the condition and value. The buyer accepts responsibility for all defects known and unknown by the seller at the time of sale. The seller shall and will make every reasonable effort to disclose any known defects associated with this vehicle at the buyers request prior to the close of sale. The seller is not and should not be considered experts on every make, model and variation of classic car that we make available for sale. 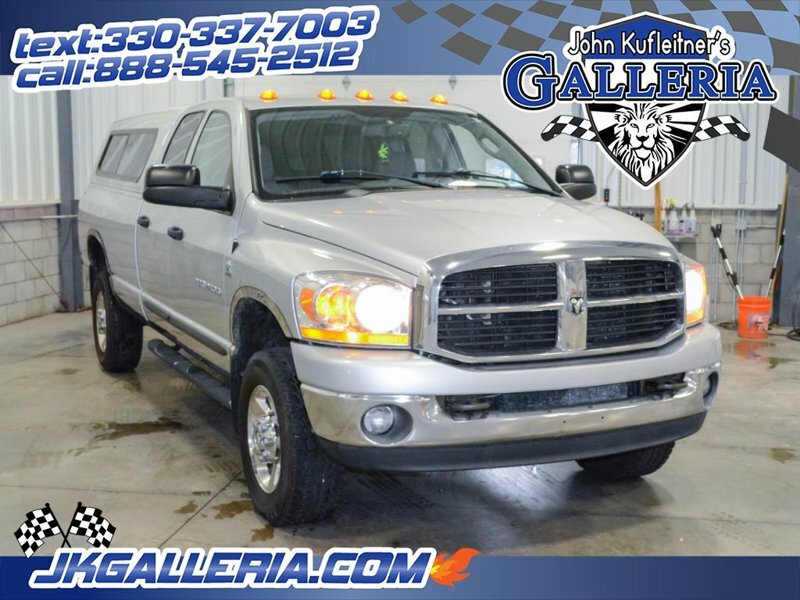 Hi, I'm interested in your Used 2006 Dodge Ram 2500 Truck 4x4 Quad Cab SLT listed on Autotrader for $28,988. I'd like to get more information about this vehicle and confirm its availability.